If you have been arrested and need a fast way out of jail, you can use Harris County bail bonds to regain freedom. The team at Anytime Bail Bonding, Inc. will have your back when you need it the most. Since the time you spend behind bars can force you to fall behind on your daily obligations, you can’t afford to take the chance. Getting bail bonds in Harris County GA is the solution for which you have been searching and will let you reach your desired outcome without stress. Call us at (770) 333-8589 to speak with us about your situation, you can also visit our office at 2357 Austell Road, Marietta, GA 30008. In this section, you will discover the Bail Bonds Process in Harris County and how it works. This information lets you decide what choice is right for you and the outcome you wish to achieve. 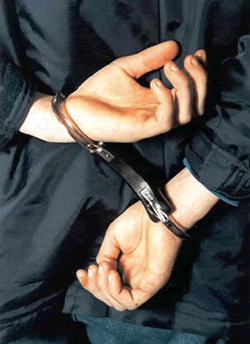 When the police make an arrest, they will hold you in jail until the end of your case, which can take weeks or months. The judge will give you a chance to post bail so that you can get out from behind bars and back to your life. The bail amount depends on the nature of the crime and if the judge believes you are a threat to the community. Going to each court meeting allows you to get your bail money back at the end of your case no matter the outcome. Although a judge will likely set your bail, the amount you need to pay will probably be so high that you are unable to afford it. Even when you can afford your bail, paying it can harm your budget and cause financial hardship. Bail bondsmen in Harris County will pay your bail so that you won’t need to do it, and they will only ask you to pay a small percentage of the total cost. When you think you have nowhere to turn, bail bonds in Harris County GA are the answer you need and deserve. When you are behind bars and need someone you can trust, you can count on our Harris County bail bondsman to come to your rescue. Learning about your needs and goals is the first step in our process, and we will then agree on a small fee and get you back home before you know it. Contact our Harris County bail bonds company when you need a team that will have your back and strive to meet your needs from start to finish. Fair pricing and friendly experts are what you can expect when you reach out to us for guidance and caring support. So call us today at (770) 333-8589 because when your freedom is on the line you can count on us anytime.